I guess my love for make-up came a little bit late. 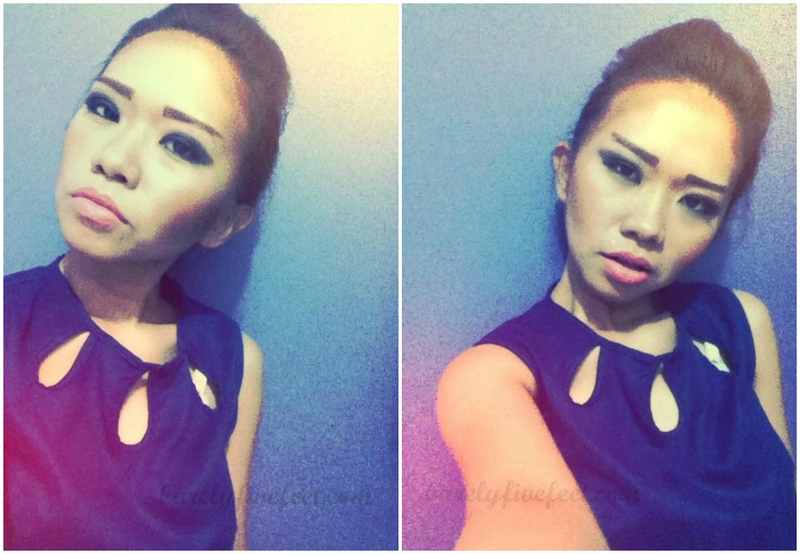 I didn’t play with make-up until I was around twenty-seven years old (I am thirty-one now. :P) or maybe even later, and that was just because I was always mistaken for a teenager even at my workplace. I thought that maybe I could look more mature if I put some lipstick on and some blush, too. And that was all I thought make-up could go as far as. Now, I have a drawer (plus a traincase to carry some of them around when needed) full of make-up and a vanity that I had custom-made for all my make-up love. 🙂 Having this interest in make-up has been very useful for me, as I tend to save money by not having to hire a make-up artist anymore whenever I need to attend a special event. I also think that girls should learn the most basic make-up application because it wouldn’t hurt to look prepped and fresh once in a while. Apply a layer of lip color (for less pigmented lip colors, one layer isn’t enough to cover the lips, so apply until it covers your lips fully). Press a sheet of facial tissue on top of your lips and dab some loose powder on it. Loose powder helps the color adhere to the lips better, thus, the color will not easily come off even after drinking or eating, unless you eat oily food, since oil tends to remove make-up easily. To effectively and cleanly apply mascara onto the lower lashes to achieve that doll-eyed look, use the convex (back) part of a spoon to guide the mascara brush through the lashes. The curvature of the spoon will help shape the lashes, plus the spoon itself will keep the mascara from transferring onto your skin. To avoid brow powder or eye make-up fall-outs (those pesky make-up debris that land on your cheeks or the bottom part of your eyes) from sticking to your skin, put some loose powder on places where the debris may fall on, then brush away after.